This carefully constructed bangle bracelet from Roberto Coin's Soie collection is a captivating piece of arm candy! 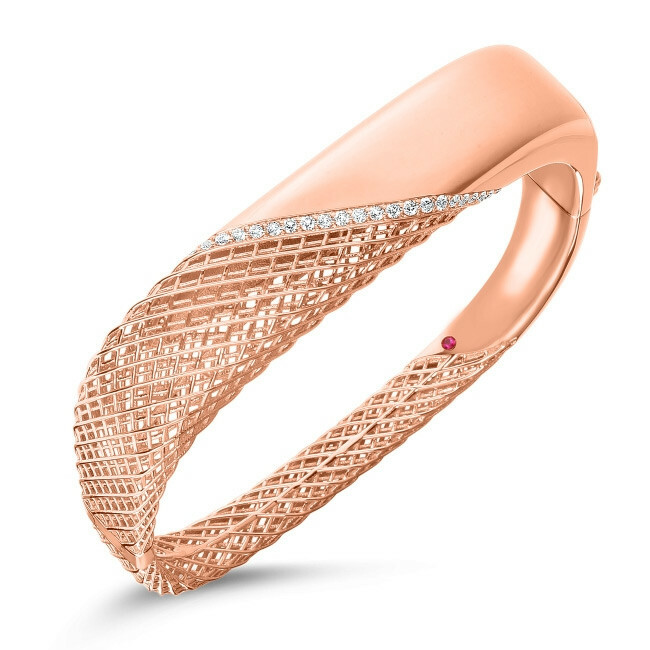 An intricate weave of fine 18K rose gold threads are joined by a section of smooth precious metal in this jubilant piece of jewelry. A row of diamonds separate these elements, adding sparkle and sophistication. This Roberto Coin bracelet highlights the beauty of Italian craftsmanship.